with L.S. 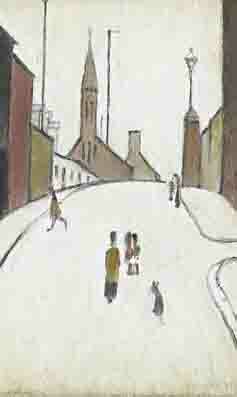 Lowry and he painted the present view on a number of occasions. eloquently ordered the space to give a sense of the scale of the subject of his work. and by cutting off the buildings at the edges, he reinforces a feeling of space and continuity.